Today in the GP of the Czech Republic, Marc Marquez and Dani Pedrosa recorded Repsol Honda’s fourth 1-2 finish of 2013, with Marc taking his fourth win in a row – fifth of the year – something no premier class rookie has achieved in the 65-year history of Grand Prix racing. 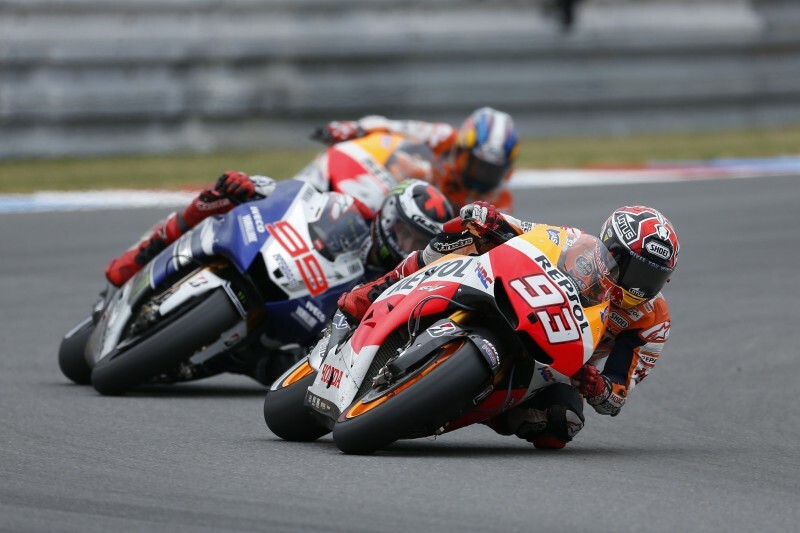 It was a spectacular race which saw Jorge Lorenzo steal the lead from the start as Marc and Dani both progressed a position to slot in behind him in 2nd and 3rd. 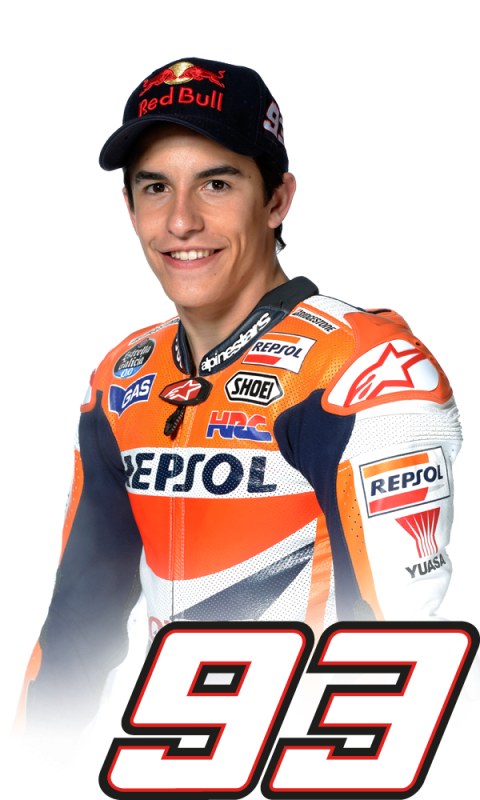 Once again the three Spanish riders rode in perfect formation with barely any time separating them, Marc setting a new fastest race lap on lap 3 with 1’56.135. On lap 13, marshals displayed a white flag signalling there may be some rain. 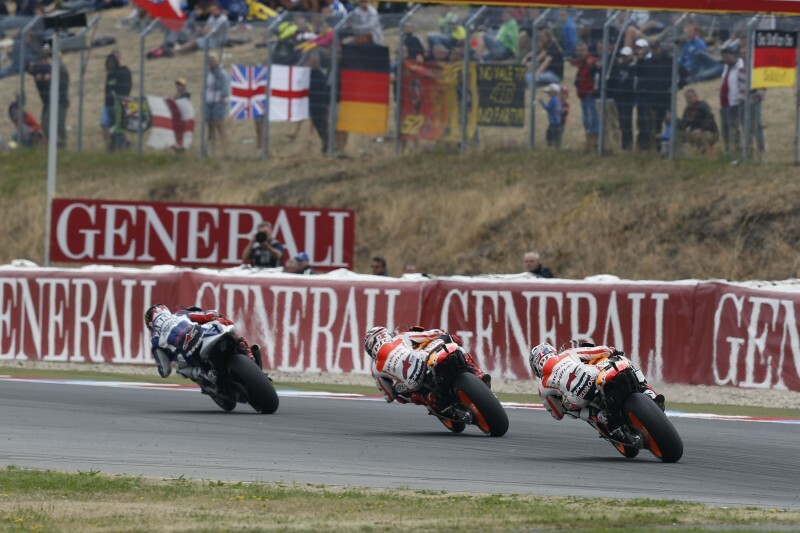 Thankfully the threat didn’t materialise and the three riders continued to push. 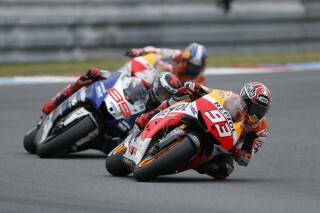 Then on lap 16, Marc attacked Lorenzo passing him briefly before being passed back. A few corners later, Marc attempted a move agin and this time made it stick. 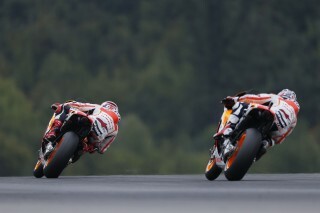 Lorenzo didn’t give up and on lap 18 he passed Marc again to retake the lead and on lap 19 Marc took the position back with just a few laps remaining. 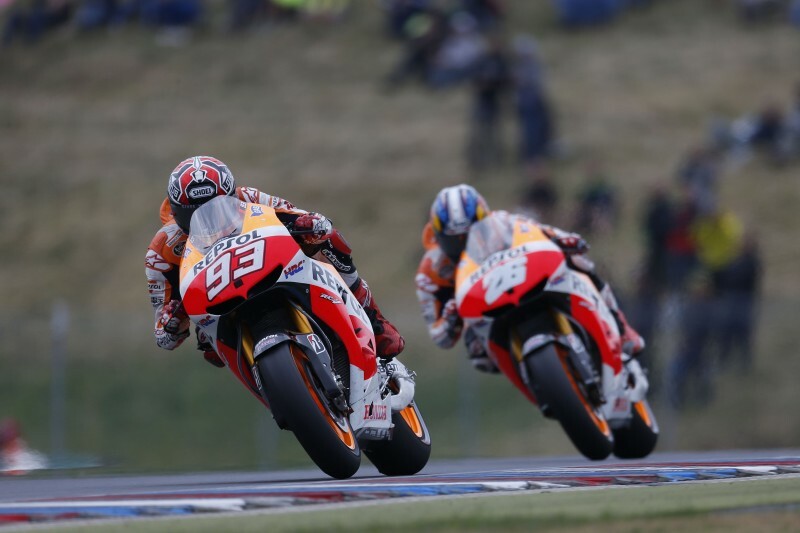 Dani never lost touch to Marc and Lorenzo during this battle and on lap 20 he also passed Lorenzo to secure 2nd position and a fantastic 1-2 for the Repsol Honda Team. 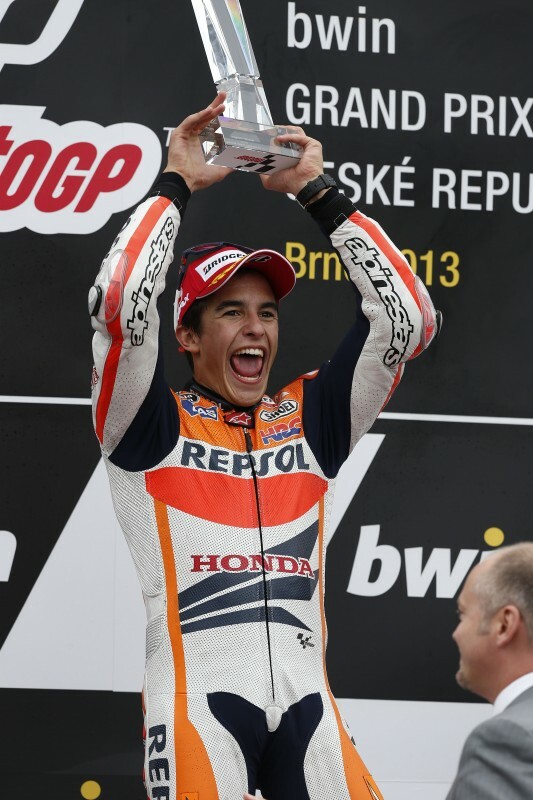 With Marc’s victory in Brno, he has become the first rider since Valentino Rossi in 2008 to win four or more successive races in the premier class and also the youngest rider to have won four successive premier class Grand Prix races. He has also equalled the most podiums scored by a rider in his rookie season, matching Valentino Rossi, who finished on the podium ten times in 2000. 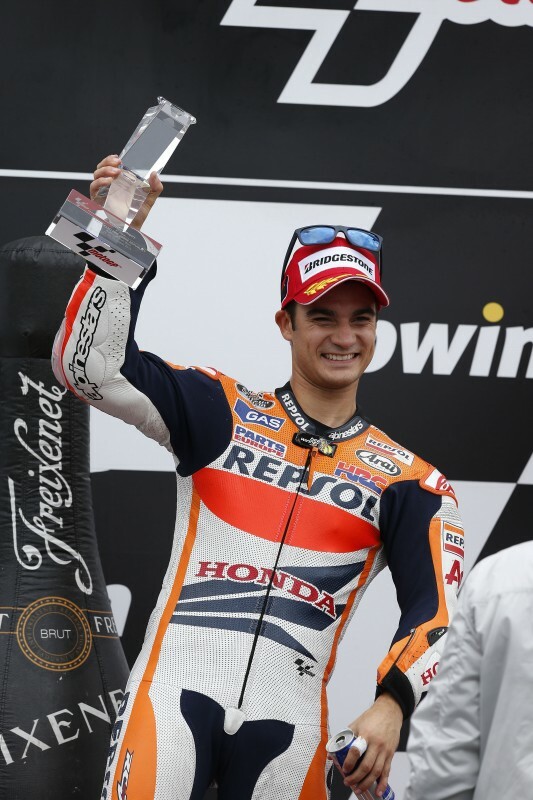 Dani’s 2nd place finish marks his 78th podium finish in the premier class, equalling four-time 500cc World Champion Eddie Lawson. 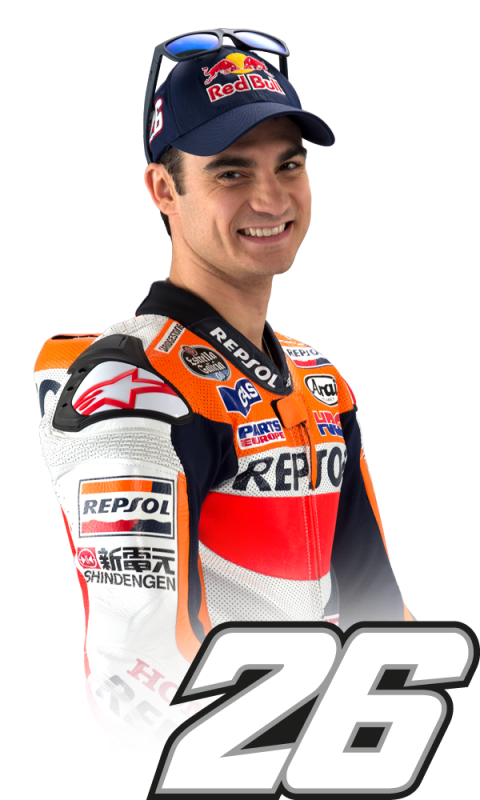 Only three riders have more podium finishes in the premier class: Valentino Rossi (145), Mick Doohan (95) and Giacomo Agostini (88). Marc has now stretched his lead to 213 points with Dani on 187 and Lorenzo on 169. Honda also lead the Constructors Championship and the Repsol Honda Team lead the Team Championship. 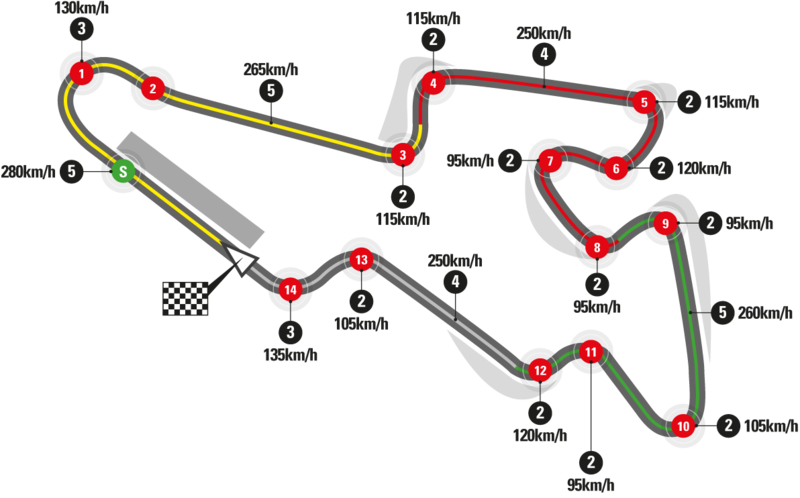 The world’s most famous riders have taken part in GP events in Brno since 1930, where up until 1982 they would race through the villages and western parts of the city on a road track named after the first Czechoslovak President – T.G. Masaryk.The only venue that has hosted more… read more.